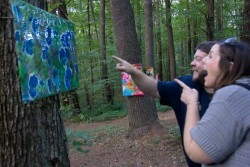 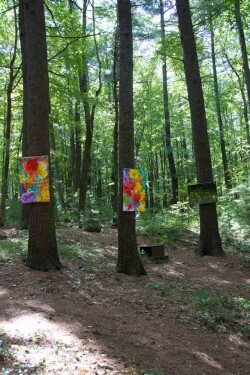 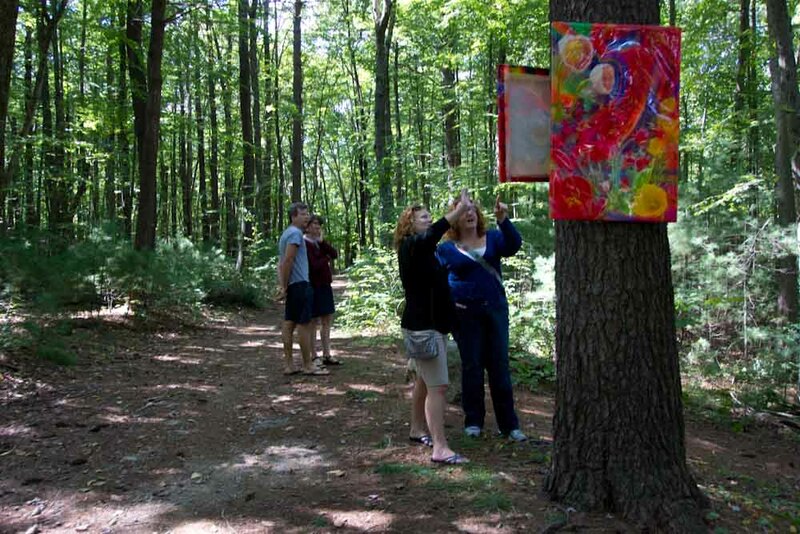 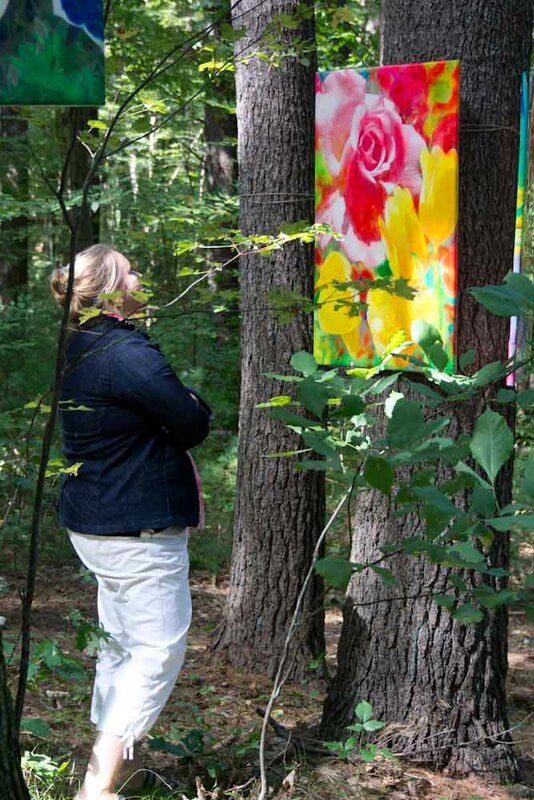 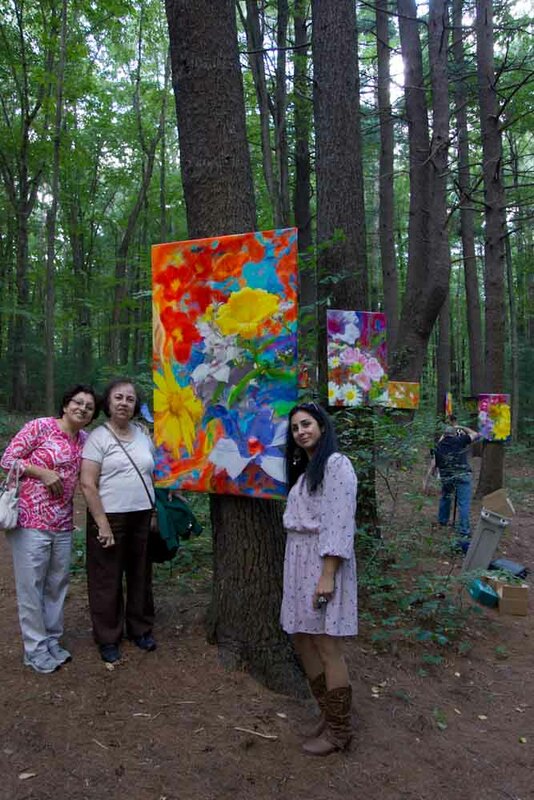 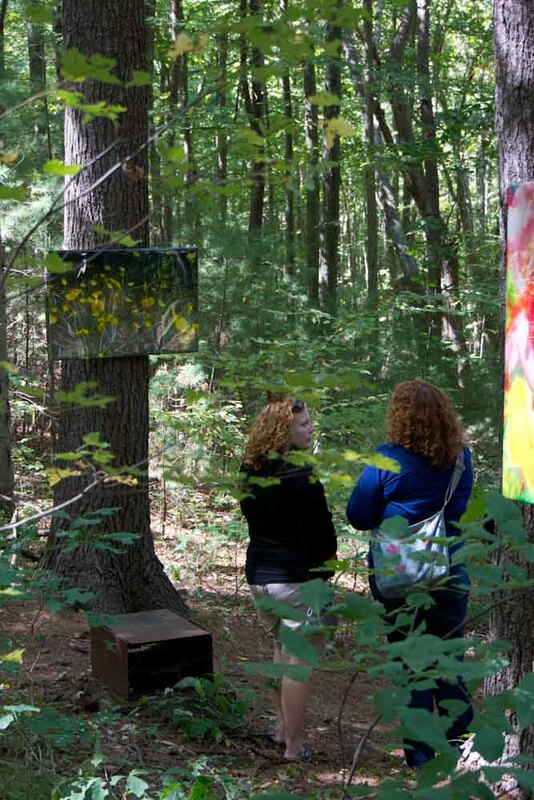 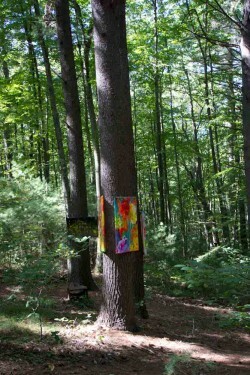 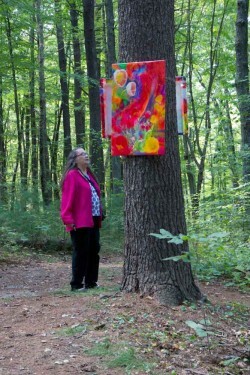 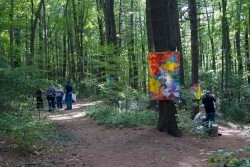 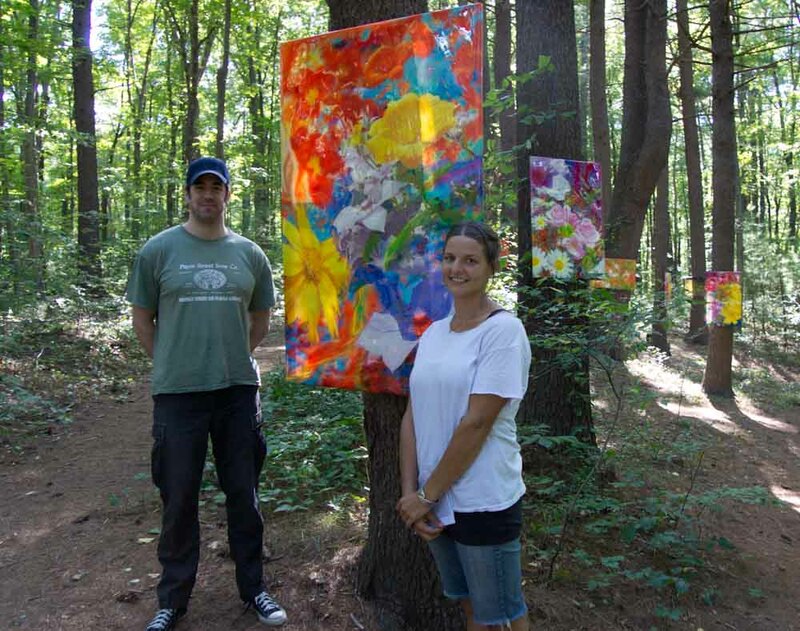 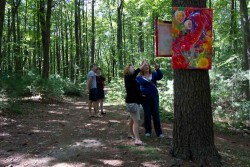 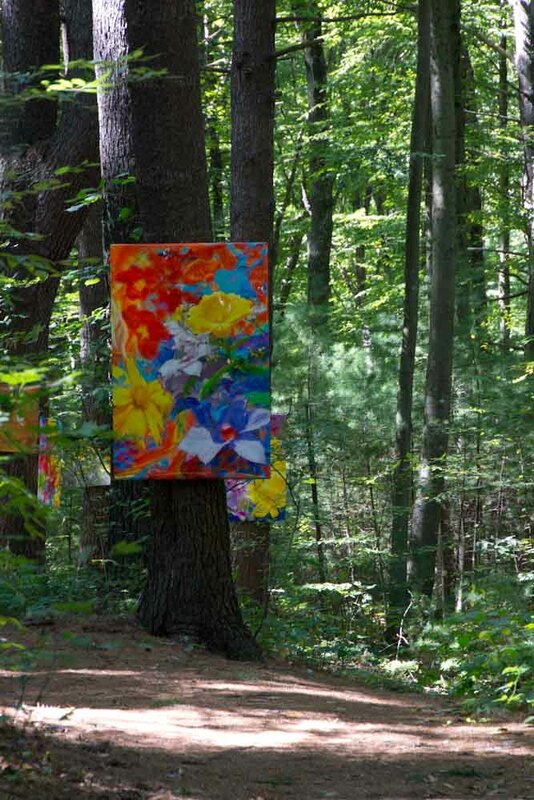 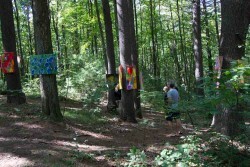 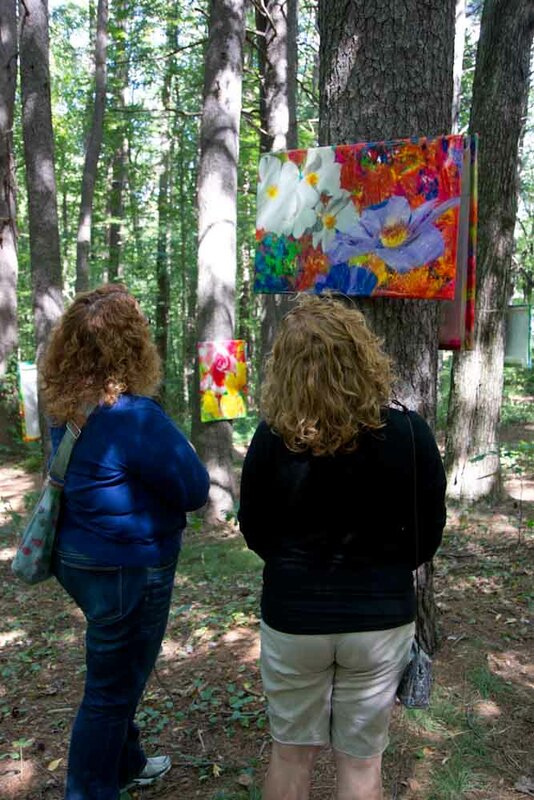 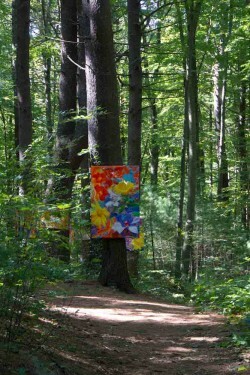 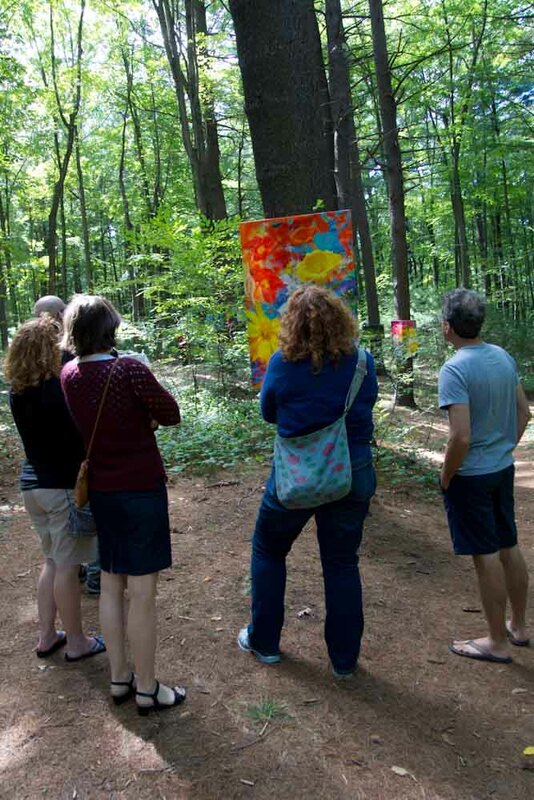 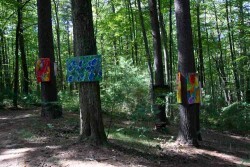 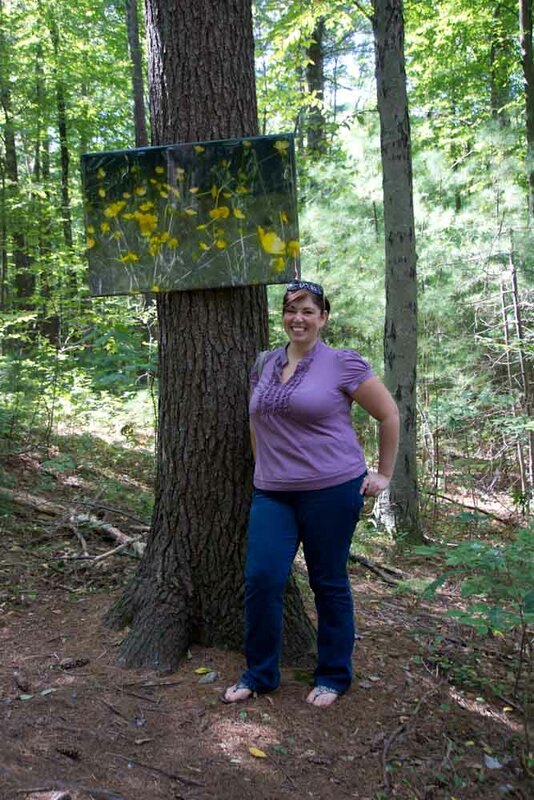 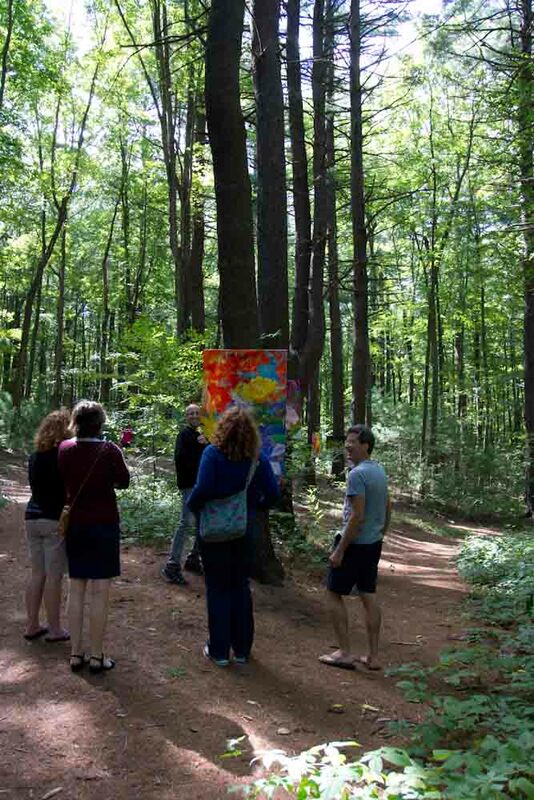 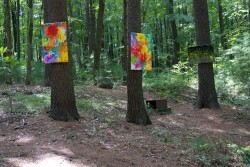 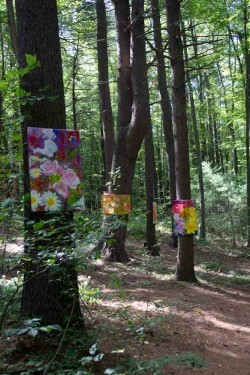 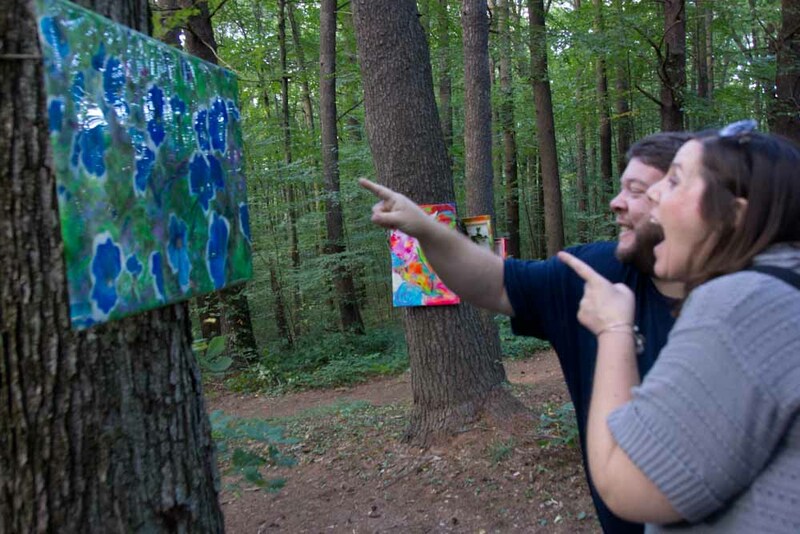 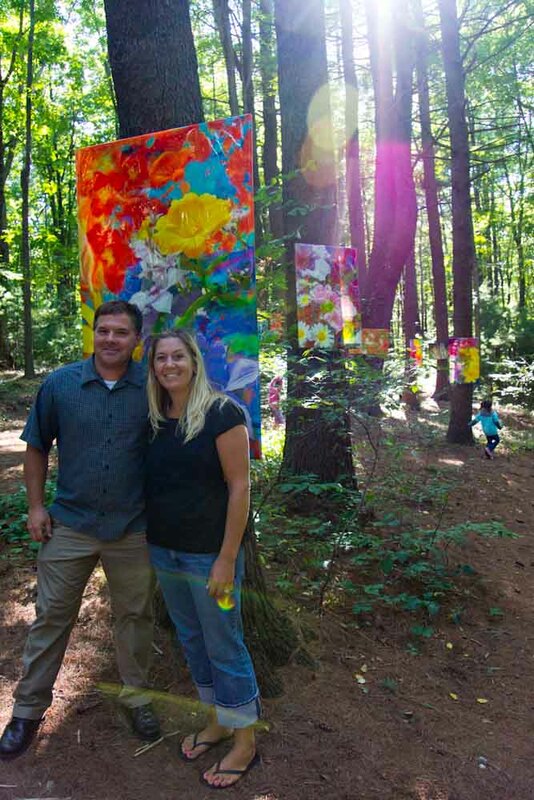 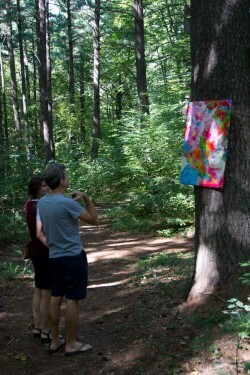 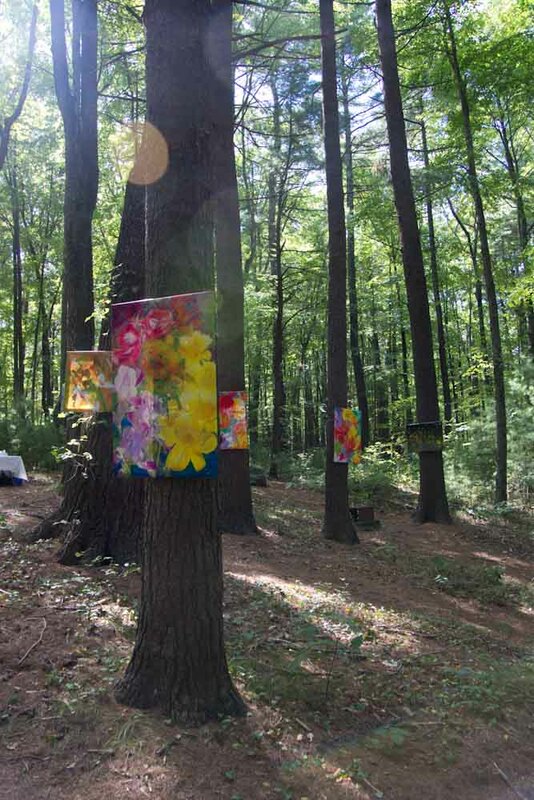 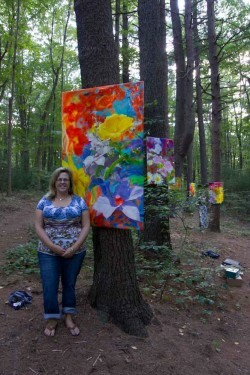 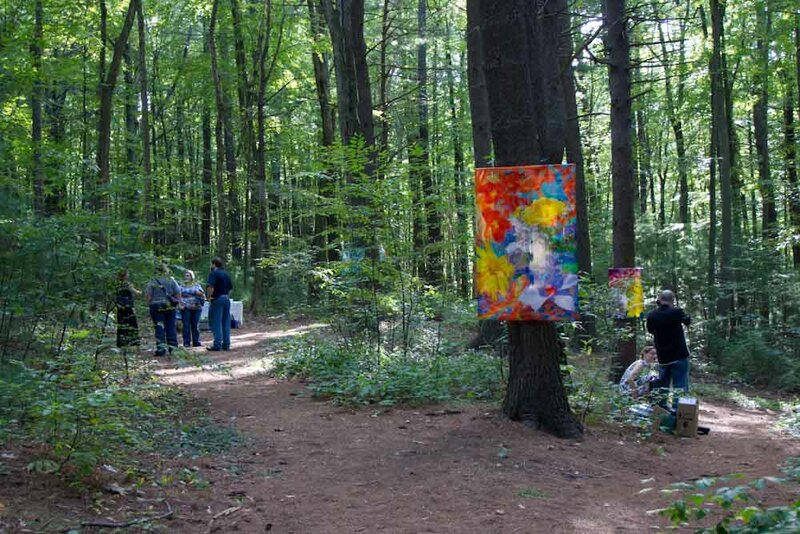 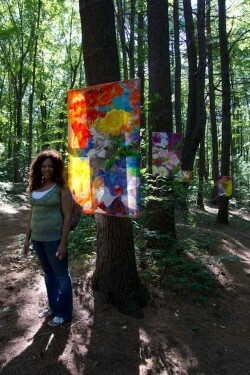 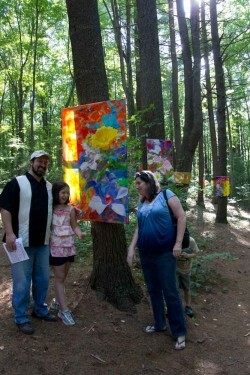 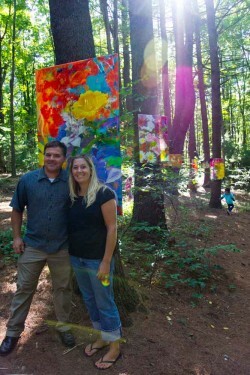 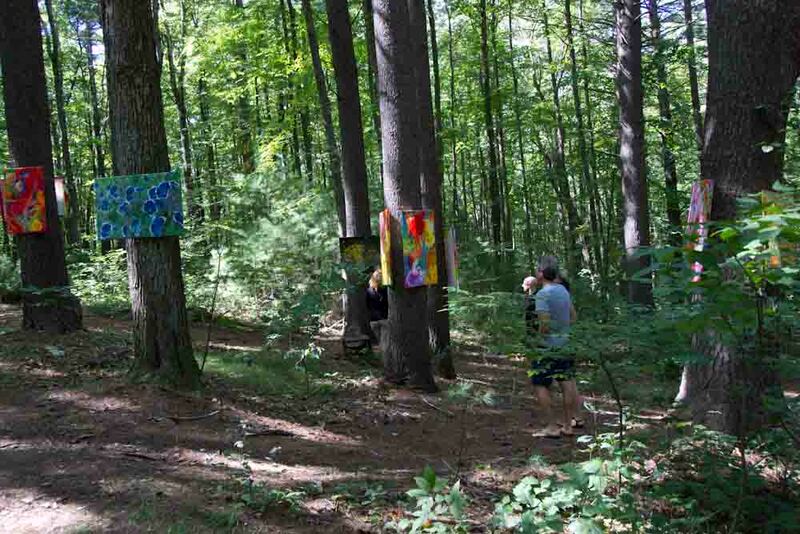 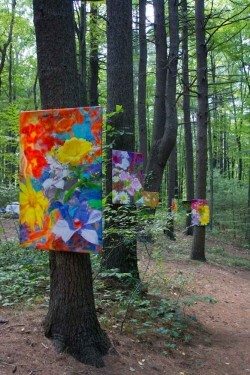 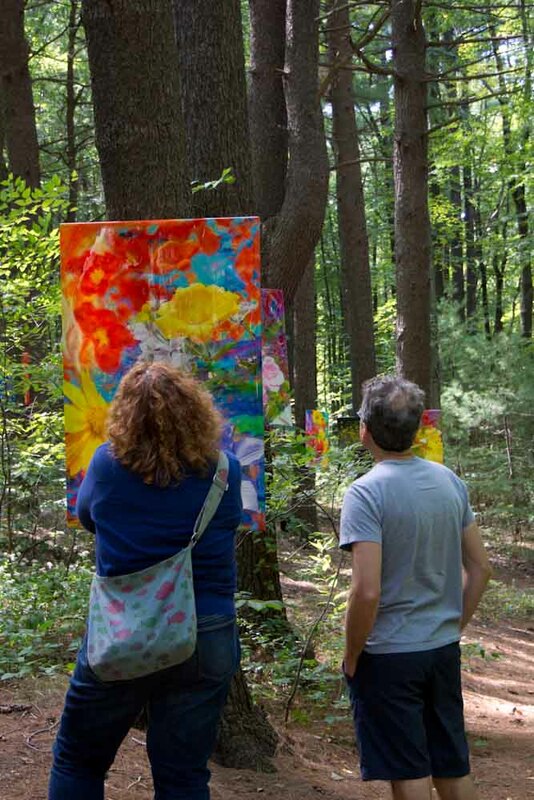 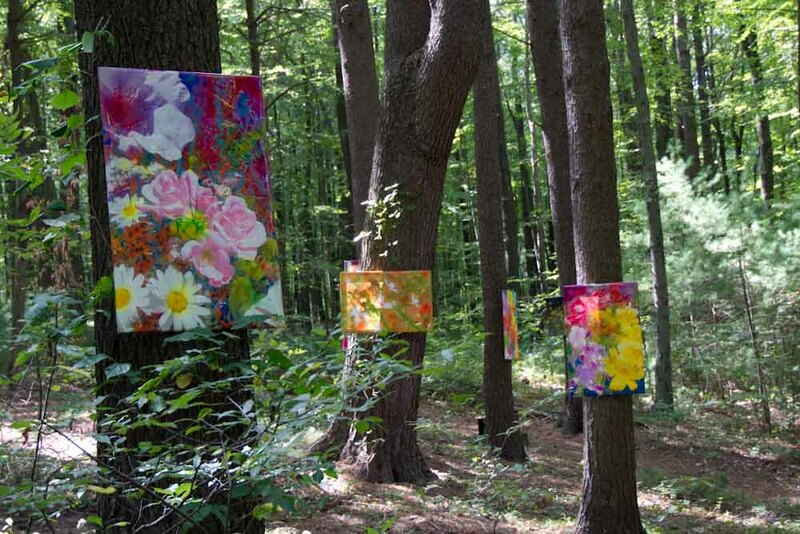 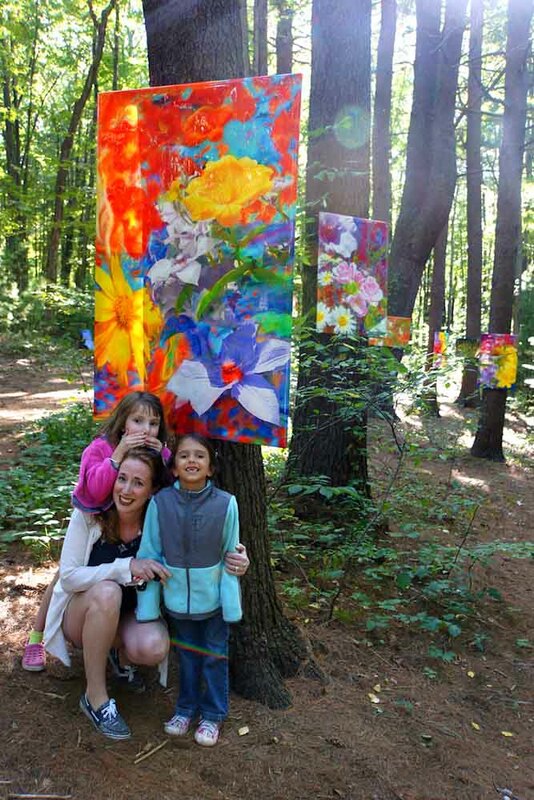 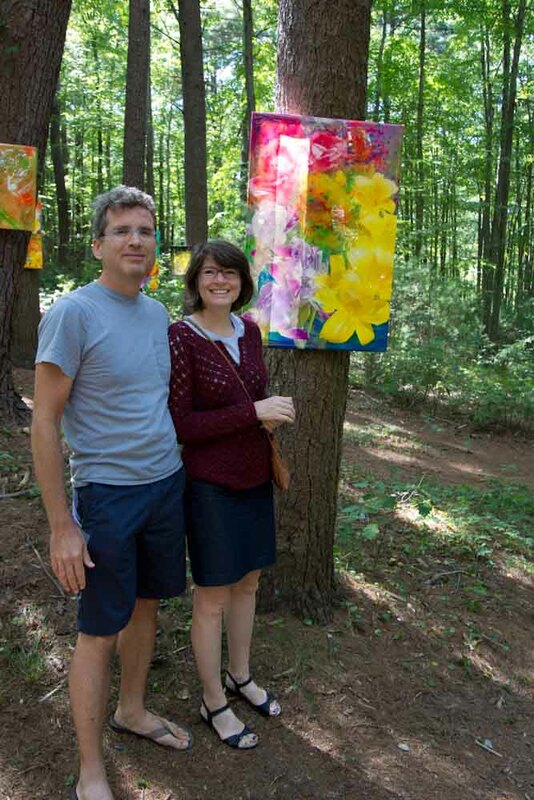 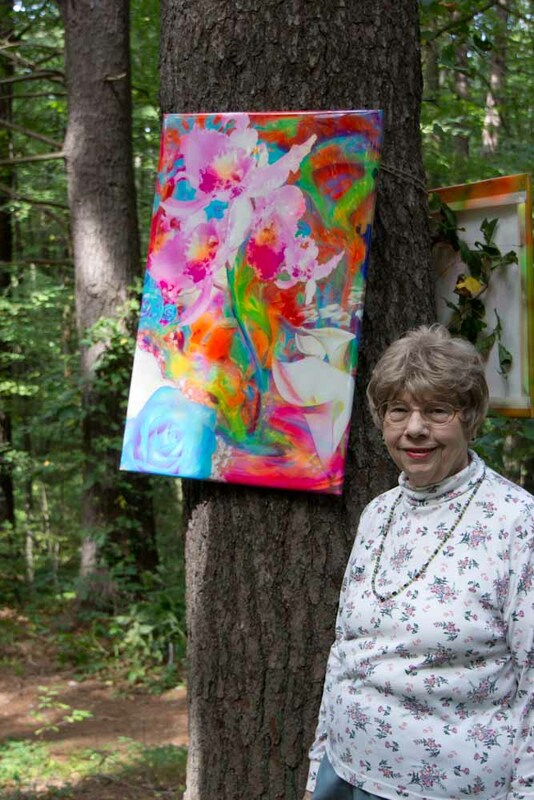 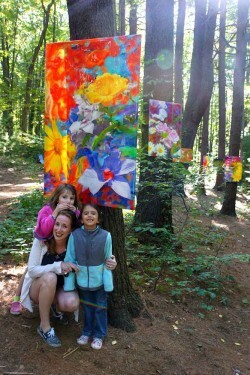 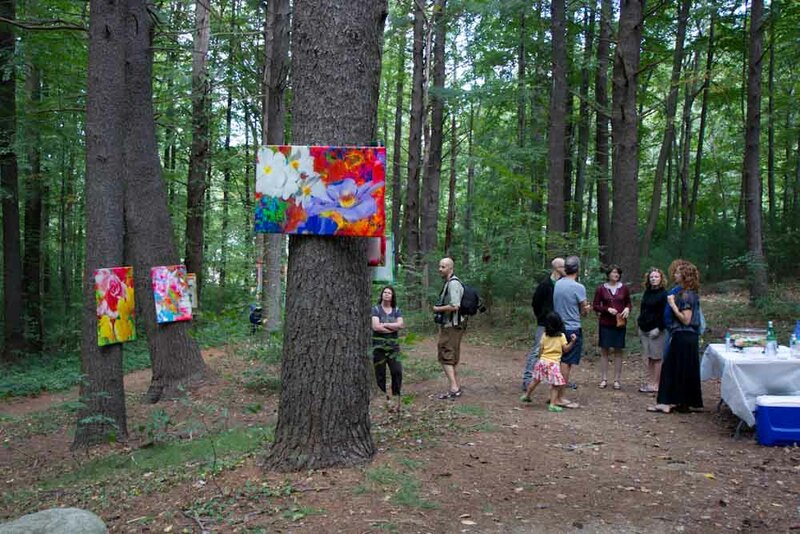 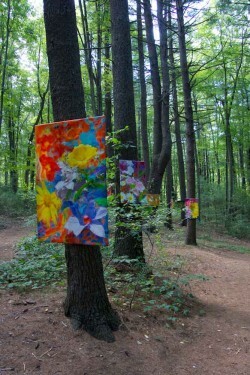 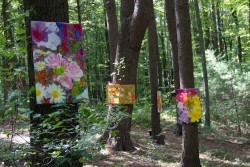 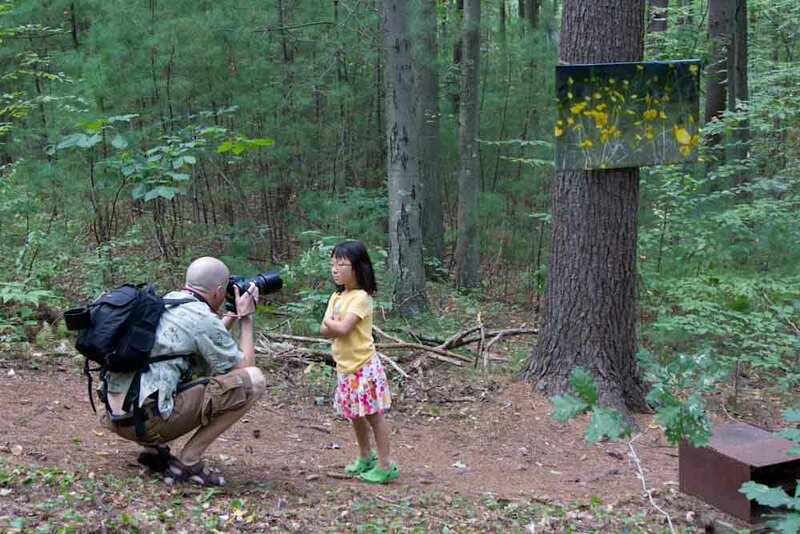 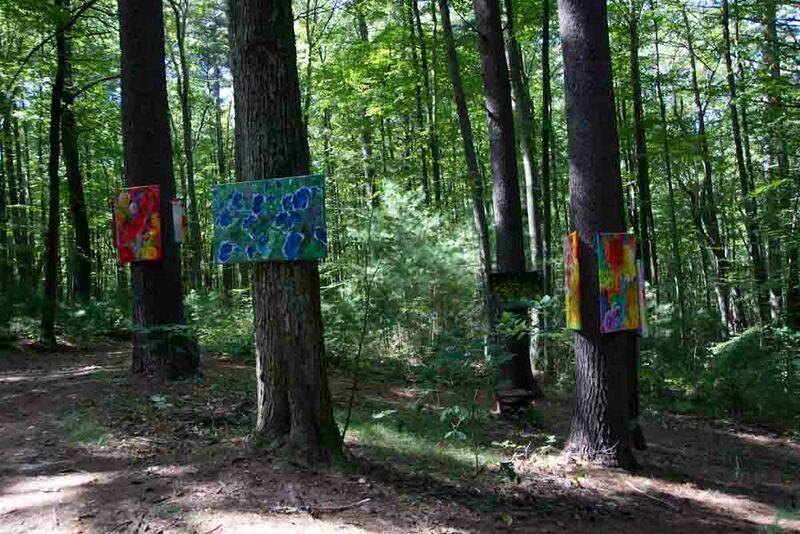 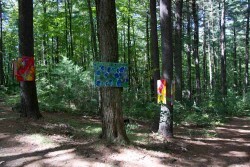 BY ADAM T. SILVA TRIBUNE STAFF WRITER UXBRIDGE — Uxbridge artist Michael Tracy will displaying his unique forest painting show on Saturday, Sept. 15 from 12 to 5 p.m. in the Taft Memorial Park. 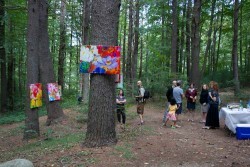 The rain date is the following day, Sunday, Sept. 16 from 12 to 5 p.m. The Uxbridge native is a full-time freelance illustrator and web designer. 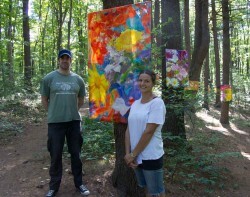 Impressively, he is a Rhode Island School of Design graduate and has gone back to teach classes there. 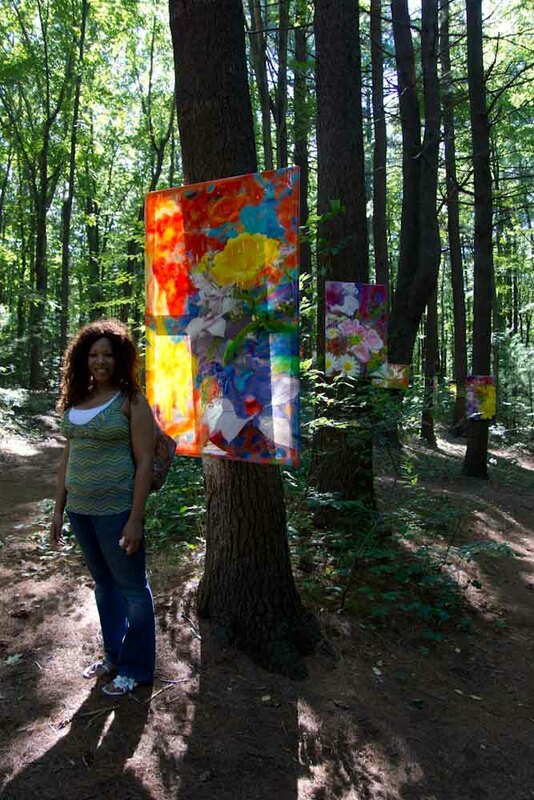 “I’ve been doing this for about 15 years and I’ve had several art shows in New York,” Tracy explained. “I write occasionally for art magazines. 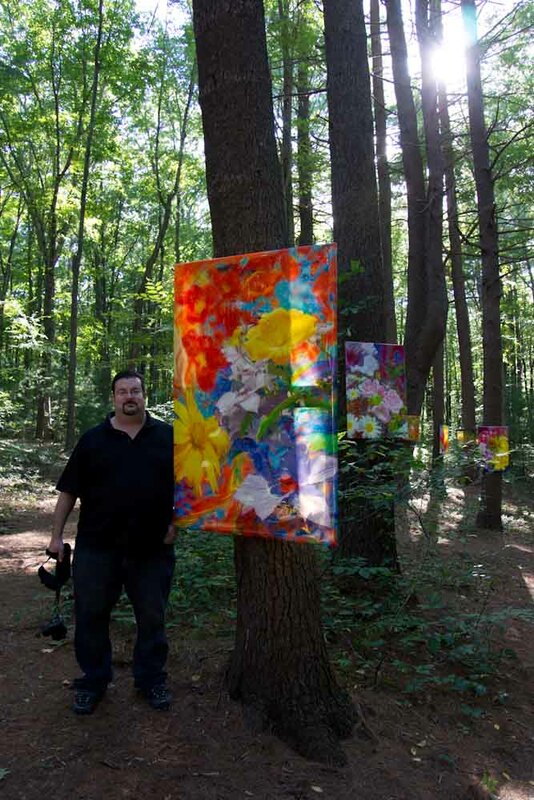 I try to be as involved as I can be with the art world.” According to Tracy, the paintings will be abstract flower paintings, which he has worked on for several years and is in the process of finishing. 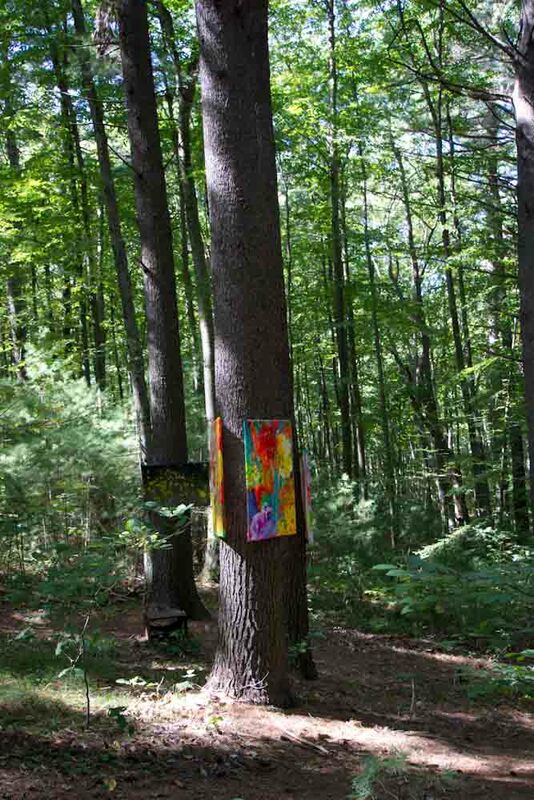 “I thought it would be very interesting to show the work not necessarily in the context of a white-walled art gallery,” he explained. 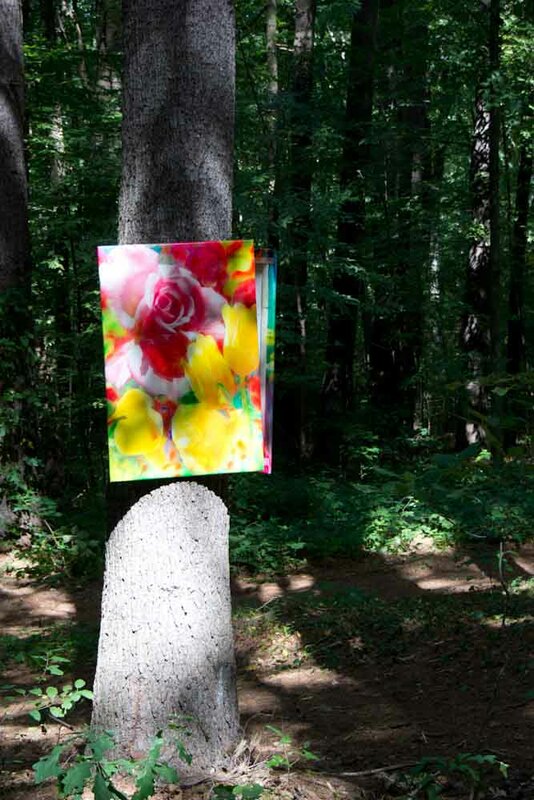 “I thought it would be much more interesting to hang them from trees and have them in the context of a forest.” The paintings will be hung in a section of Taft Memorial Park in an older section of the park, which according to Tracy, hasn’t been used very much. 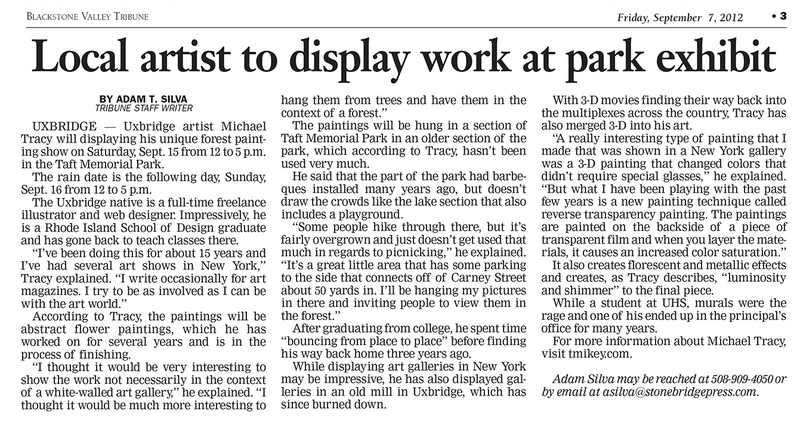 He said that the part of the park had barbeques installed many years ago, but doesn’t draw the crowds like the lake section that also includes a playground. 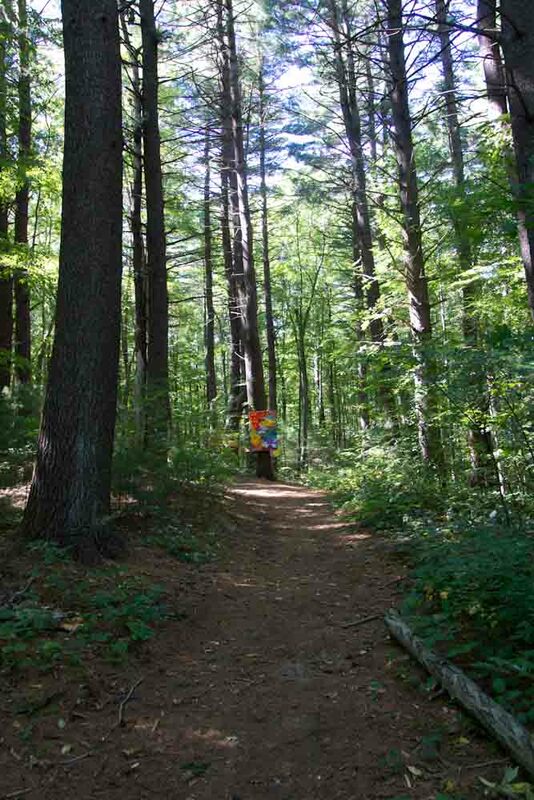 “Some people hike through there, but it’s fairly overgrown and just doesn’t get used that much in regards to picnicking,” he explained. 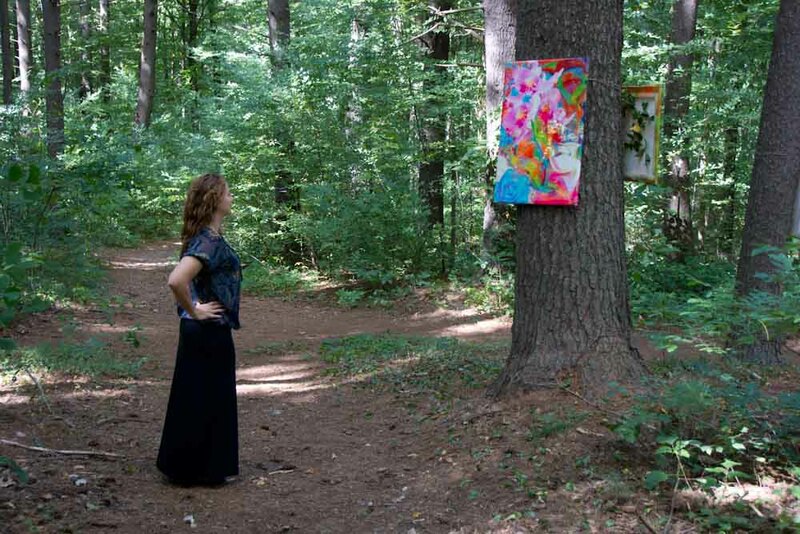 “It’s a great little area that has some parking to the side that connects off of Carney Street about 50 yards in. 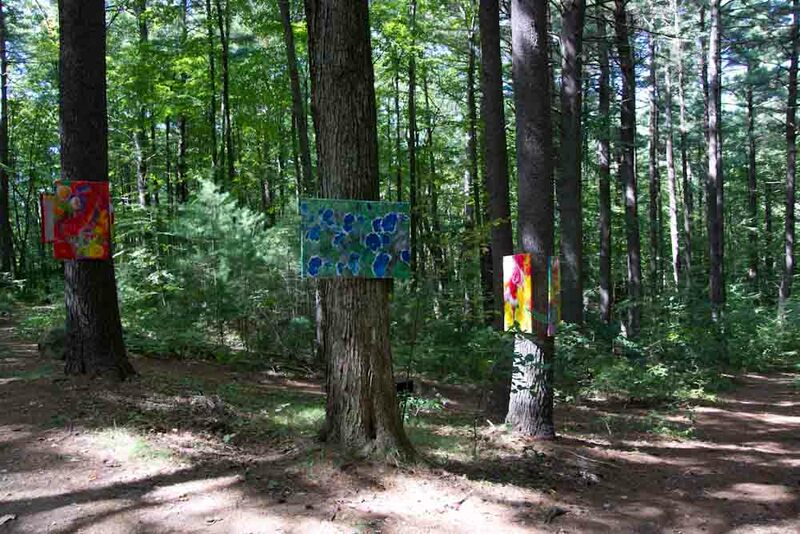 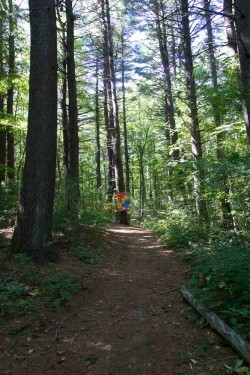 I’ll be hanging my pictures in there and inviting people to view them in the forest.” After graduating from college, he spent time “bouncing from place to place” before finding his way back home three years ago. 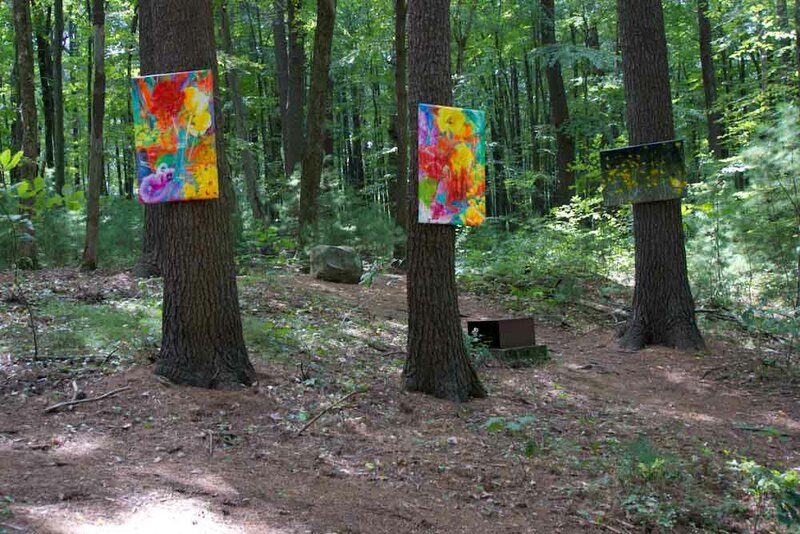 While displaying art galleries in New York may be impressive, he has also displayed galleries in an old mill in Uxbridge, which has since burned down. 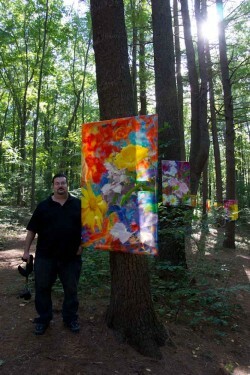 With 3-D movies finding their way back into the multiplexes across the country, Tracy has also merged 3-D into his art. 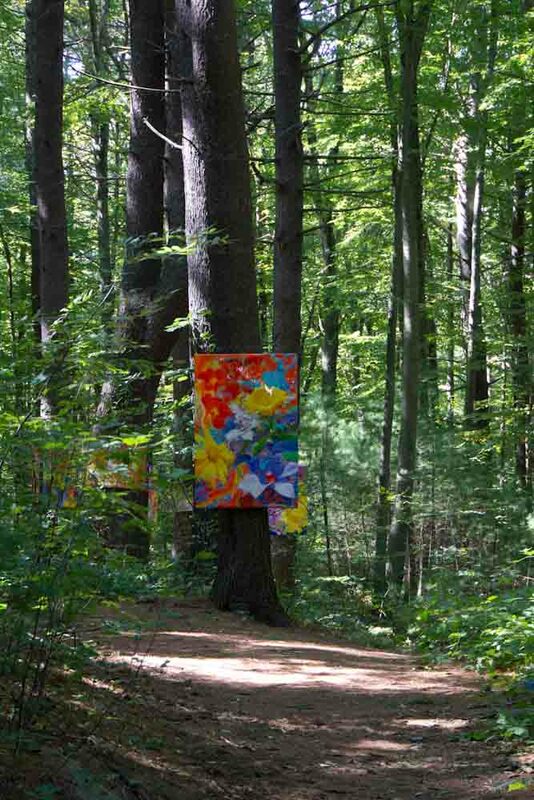 “A really interesting type of painting that I made that was shown in a New York gallery was a 3-D painting that changed colors that didn’t require special glasses,” he explained. 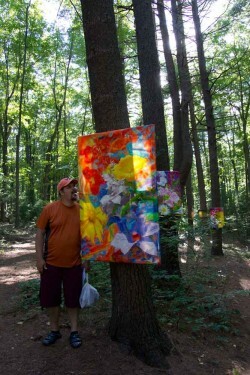 “But what I have been playing with the past few years is a new painting technique called reverse transparency painting. 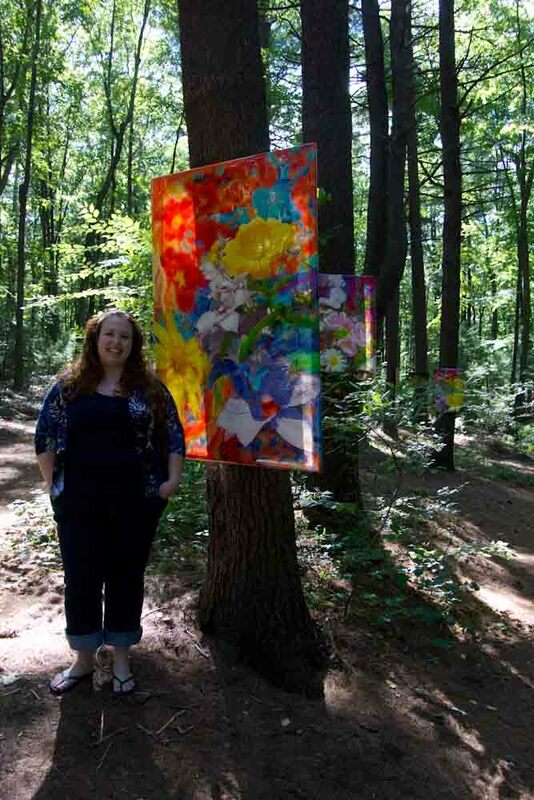 The paintings are painted on the backside of a piece of transparent film and when you layer the materials, it causes an increased color saturation.” It also creates florescent and metallic effects and creates, as Tracy describes, “luminosity and shimmer” to the final piece. 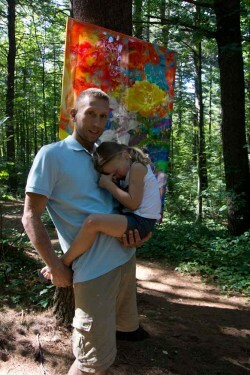 While a student at UHS, murals were the rage and one of his ended up in the principal’s office for many years.